Situated on a beautiful semi-private beach and a large open property with spacious grounds, Boca Sombrero is inclusive oceanfront surf and yoga retreat. Nestled steps away from the stunning white sand beach of the Osa Peninsula, in the Province of Puntarenas, this retreat center offers fantastic yoga and spa facilities. If you are planning for a romantic getaway or family getaway or solo traveling you can choose this place. Backpackers or businessmen will also find this place perfect. While staying at this retreat center, you can enjoy fun retreat filled with adrenaline rushing activities, leisurely hours on the beach, meditation and deluxe amenities. In front of Boca, there is a private surf break that is run by experienced surf instructors and is accessible to all levels of surfers. Not only for the striking beaches, this region is famous for its amazing natural beauty, verdant forests, amazing environment and weather and recreational opportunities. In this retreat center you will find accommodations range from a mixture of deluxe family-style palm thatched beach bungalows to single or double occupancy palm-thatched yurt tent platforms. In the hotel property there is a lavish beachfront villa with a private pool, wooden platforms with thatched roof and charming houses. Surrounded by beautiful nature and cozy vibe, all the accommodations are designed in a unique way. In this property you will experience a homely like environment that will make your stay more comfortable. For the construction of the accommodations, eco-friendly products such as bamboo, and wood. 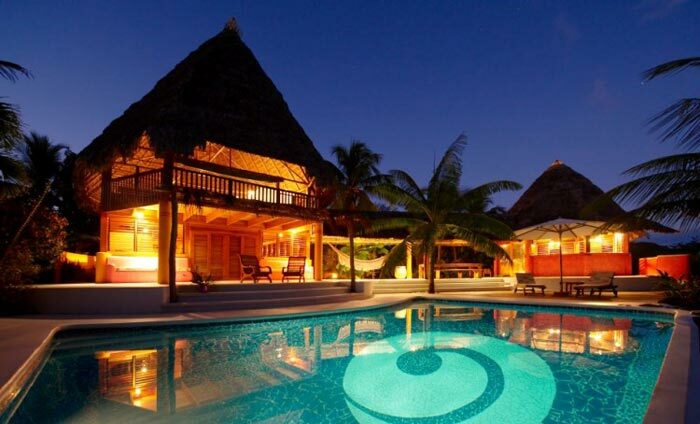 People who want to enjoy utmost seclusion and tranquility as well as luxury, they can stay at the Casa Playa Sombrero. This Casa overlooks amazing ocean view and luscious jungle. Ideally designed for the couples, a group of friends or family, this Casa is featured with a large open bedroom including 2 netted kind size bed. You will also have hot water, fresh linen towels, refrigerator, wireless internet facility in this Casa. You can spend some fun time with other at the living room and can prepare you food at the full stocked kitchenette. From the terrace of the Casa you can enjoy amazing view of the surrounding area. 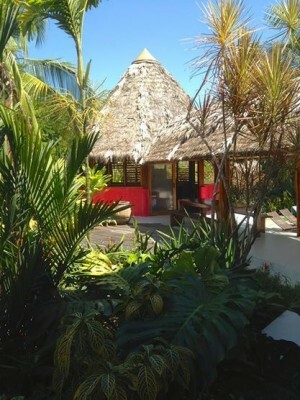 People who want to stay close to the beach, they will find this newly built small charming Casa perfect. For its construction, natural product like bamboo is used and it has the thatch-roof structure. This Casa is featured with two small bedrooms, a living room area and a kitchen. If you visit the place with a small group of friends or family, or with your partner to enjoy a romantic getaway, you will find this Casa perfect. This Casa is featured with two bedroom, a large kitchenette, an open-air living area and a small swimming pool with a wooden sundeck. People who have a limited budget but want to enjoy a comfortable vacation close to the nature, they can stay at the Tent Cabins of the lodge. These cabins are constructed with bamboo and wood and can accommodate two people. While staying at the Boca Sombrero Surf and Yoga you will get opportunity to enjoy a lot of fun and adventure activities in some of the most beautiful locations imaginable. As this lodge is nestled close to a private setting of the nearest beach, it will allow you to learn the surfing techniques and people who are already familiar with the activity, they can develop their surfing skill. This lodge also offers Kayak tour that will let you explore the beautiful marine life including sea turtles, schools of tropical fish and if you are lucky enough, you might also watch dolphin which play close by the boats. If you stay at the lodge during December to May, you can watch the Humpback and Blue Whales breaching. You can go for river walks, horseback riding, bird watching, tree climbing, zip-lining tours, waterfall rappelling and boat trips. People who are looking for a place to unwind, there are spa treatments and variety of bodywork session offered by the lodge.